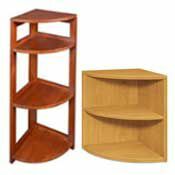 If you’re one of those people who eagerly awaits your favorite author’s next book, collects books as though they’re rare gems and just can’t pass up a used book sale, you can never have too many bookcases. 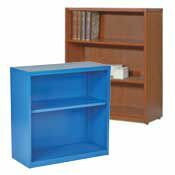 But a bookcase is more than just a place to store books. 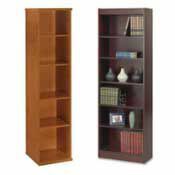 A bookshelf can be used as a room divider, a storage unit with baskets for kids toys or a showcase for your Depression glass, sculptures and family pictures. 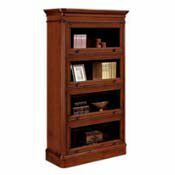 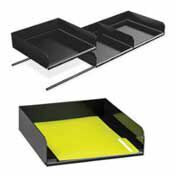 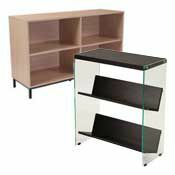 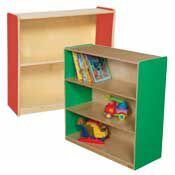 Two, Three, Four and Five Fixed and Adjustable Shelf Bookcases, Bookcase Adders, Quarter Round andCorner Storage Shelves, Shaker and Butcher Block Room Divider Bookcases, Baby Bookcases, AccentBookcases and Door Kits for Bookcases, Wood, Metal and Pressboard Bookcases.